Zynga is laying off about 30 people, or 1 per cent of its workforce, as it shuts down four offices in New York; Baltimore; Austin, Texas; and McKinney, Texas.All four of the offices had recently lost their leaders, and many were associated with big flops for the struggling maker of social games. 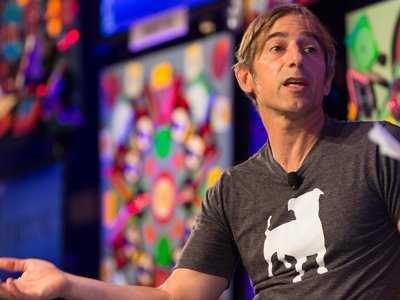 Zynga CEO Mark Pincus and COO David Ko have talked about cutting costs and shutting down unsuccessful games more quickly in recent earnings calls and investor conferences. It seems that management at these studios had some inkling of what was coming. The Baltimore office was run by Brian Reynolds, a famous game designer who most recently oversaw CityVille 2, a sequel which Zynga is shutting down. He left Zynga last month. About half the Baltimore employees are transferring within Zynga, to its San Francisco headquarters and elsewhere. The McKinney, Texas office was run by Paul and David Bettner, who founded Newtoy, the maker of Words With Friends. They left in October, and it’s not clear who succeeded them. Employees there are moving to a Dallas studio an hour away. Zynga is consolidating multiple offices in New York and Austin. The New York office being closed was run by Demetri Detsaridis, who recently spearheaded development of the Friends Game, another shuttered title. Detsaridis, the founder of Area/Code, which Zynga acquired in early 2011, just left Zynga, according to his LinkedIn profile. Dan Porter, the former CEO of OMGPOP, now general manager of Zynga New York Mobile, will run the combined studio. The downtown Austin office was formerly run by Andrew Busey, who sold Challenge Games to Zynga in 2010 but just left to join Austin Ventures as an entrepreneur-in-residence. Zynga appears to be hiring a general manager for the Austin office.